Art's Chili Pepper: Touching the sand...at last! 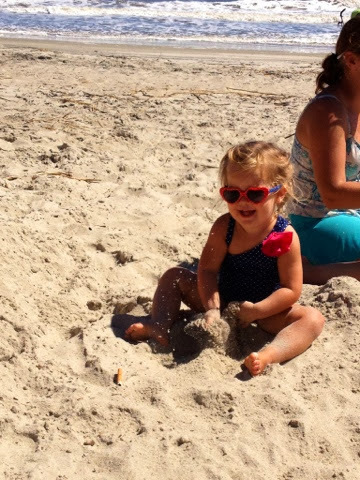 We knew she was a beach babe. After days of coaxing Mella has finally embraced her inner Gidget.